News And Press Releases - Annoucements | Salon Interiors Inc.
Gena Wagner, Owner of Illusions Hair Salon & Day Spa in Freehold, NJ is the winner of the 2017 IBS-NY contest for a custom color bar designed and manufactured by Salon Interiors. Salon Interiors premieres the exclusive Euro Line including the Cinderella, Polo, and Vanessa, styling chairs at the International Beauty Show in NYC. Salon Interiors has received KCMA certification, the first custom manufacturer to provide a high pressure decorative laminate cabinet, i.e. Formica, Nevamar, Wilsonart, that passed the test. Salon Interiors strives to please our clients as well as protect our environment. Salon Interiors continues to implement ideas for greener cabinet manufacturing processes by using ATC Panels' new Evrpanels, particle board made to meet the EPP guidelines. Discovery Channel's latest show is Construction Intervention. Salon Interiors joined with them to completely refurbish the Real Deal Barber Shop in Jersey City, NJ. Our designer Marco Martinez was responsible for the floor plans and furniture design for hairstylist to the stars Amoy Pitters new salon Amoy Couture Hair. The Oxygen Channel chronicled the process for their new show, House Of Glam. Marco was featured working with Amoy to design and plan her space, select her furniture and bring everything together for their grand opening. You can see screen shots of the show right here on our website. 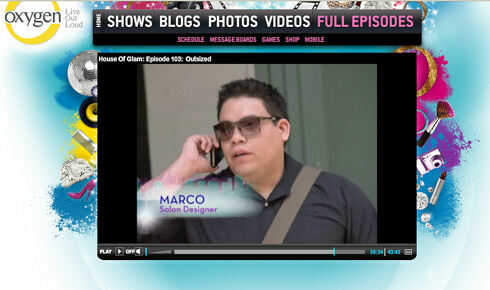 House Of Glam Featuring Marco. 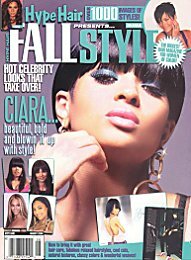 Hype Hair Magazine wrote a nice sidebar article in their August 2008 issue about our styling stations, and highlighted the Tulsa Station. 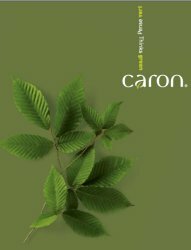 Salon Interiors is now utilizing the products of Caron Industries, a Canadian company committed to renewable, green manufacturing. 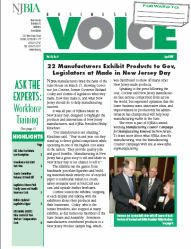 Salon Interiors President Walter Siegordner attends Made in New Jersey Day with New Jersey Governor Jon Corzine and other state legislators. 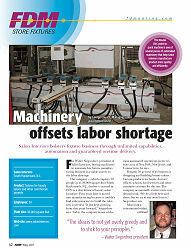 FDMOnline talks about our latest wood shop machinery acquisition, our employees and our dedication to customer service. 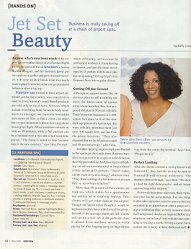 Salon Today did a great article on one of our favorite clients and her airport salon. They also included a sidebar that showed that we did her custom salon furniture - which was a nice surprise for us! Salon Interiors was a featured story in Modern Woodworking magazine's November 2004 issue. Click images on the right to read about our company.